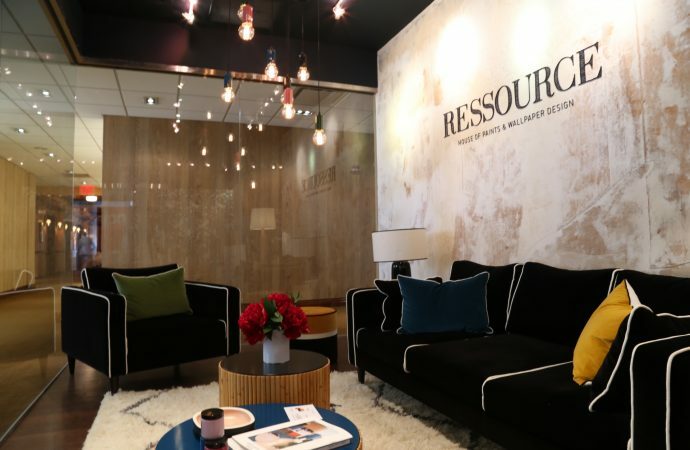 Sarah Lavoine, the French acclaimed interior designer has found a first home for her Maison collection in New York City in the D&D Building, thanks to her partnership with Ressource. The designer had already worked closely with the brand two years ago when they launched together a painting collection of 32 shades including the now famous Bleu Sarah Lavoine, that has become a prominent element of the designer’s signature in her projects. In this first US outpost Maison Sarah Lavoine is showcasing her furniture and accessories collection comprising lighting, textile, pillows, couches, benches, tables, poufs and even wall decor. Sarah Lavoine founded her interior design studio in 2002. She joyfully mixes contemporary aesthetics with exceptional craftsmanship. Her chic flair is a balance of many inspirations, conveyed in her own furniture and accessories lines successfully launched in 2009. Her collection now counts couches, lighting, tableware, home decor accessories, textile and fashion items.